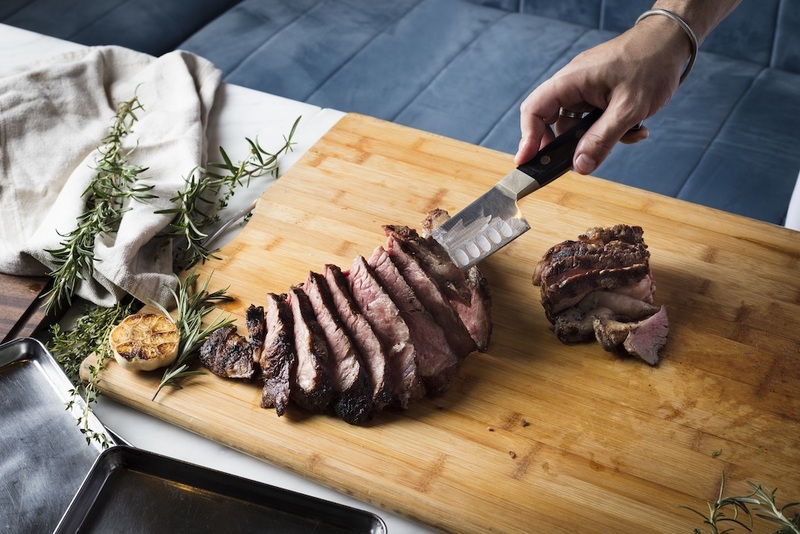 <<6th September, 2018>> Hong Kong’s leading steak expert, Porterhouse will once again indulge guests with the restaurant’s signature item, BEEF. This September, Porterhouse proudly presents “BEEF IT UP”, an all you can eat beef promotion on Sundays to Tuesdays during dinner service. The special menu allows guests to enjoy unlimited portions of 5 different cuts of Italian Marango Beef and Australian Black Angus. The new dinner promotion format is specially designed for lovers of all things beef, as the menu (priced at HK$ 528 + 10% per guest) begins with a Beef Consommé starter followed by a choice of either Marango Beef Tartare, Braised Ox Tongue or Porterhouse Caesar Salad. The highlight of the menu includes tasting all 5 cuts from Italian Marango Beef and Australian “Black Angus” beef that includes cuts such as the most tender and lean Topside(inner thigh muscle), the melt-in-your-mouth Brisket (cut below the shoulder) prepared in a barbecue style, a malty and firm Flank from the original London Broil, and lastly, the juicy and prized cut of Picanha Rump prepared in a stir-fried style. Guests can also opt for the grilled Sirloin, taken from the Australian “Black Angus”, with the perfect marbling and smokey flavor. Finish off the meal with light and refreshing Sorbet and Ice Cream for desserts. On the night of 10th September, the owners of the Marango Farm will also be at Porterhouse to join the restaurant for a special dinner occasion. In addition, guests can enjoy 30% off any wines valued at HK$700 or above. The Italian Marango Beef features a distinctly tender, juicy and savory flavor profile. Located in a beautiful setting between Civitavecchia and the mounts of Tolfa, the Italian Maremma is where farmers have bred bovines in a very traditional way over four generations. Way back when, one of them decided to bring his study abroad experiences and knowledge of American ranches back to the farm. His animals are about 310 in number, and the cows are free to roam in the territory of the Maremma for 14 months. The Marango is a cross between a Maremmana cow and an Aberdeen Angus Bull born and bred for 14 months. The mothers are kept free range for all their life. The veals stay with their mums until they reach 6-8 months of age, after which they are moved for weaning to Santa Marinella.In the second phase of their life, the animals are transferred to Piedmont for 8 months in a locality called Betlemme. This is the last period before the slaughter where the focus is on an alimentation to enhance the omega 3, marbling, sweetness and digestibility. The animals eat hay, corn, linseeds, soya shoots, and beetroot molasses. The real Marango has this diet to thank for its great level of marbling – the meat is fatty yet higher in omega 3 fats, savoury and tender all at the same time. Porterhouse brings a premium steakhouse dining experience to California Tower, injecting renewed vibrancy into the stylish space and seasonally-inspired menu. 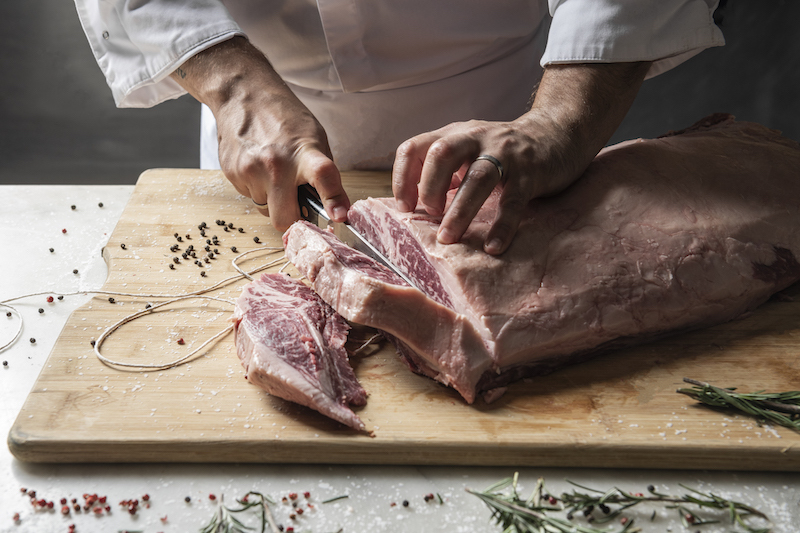 With a spotlight on the quality cuts of juicy meat and the rewarding weekend brunch buffet, Porterhouse unveils a whole new dimension of look, feel and taste. Helmed by Executive Chef Angelo Vecchio and General Manager Peter Paul Kleiss, Porterhouse not only delights the masses with its signature grilled meats, but with a wide selection of fresh seafood served raw or fired up on the grill. Take a gander at our impressive wine and signature cocktail list, and consult our knowledgeable sommelier for the perfect food and drink pairing. Porterhouse is a dining destination where guests can kick back for weekday lunch, a relaxing weekend brunch, or enjoy a more refined experience of dinner and drinks complemented by unparalleled service.